RSS is nice, but the real money is an email list. A large, highly-targeted, and responsive email list. The problem is, how do you build that email list? The “old” way of offering a free ebook just doesn’t work like it used to. Well, my good friends Lewis Howes and Sean Malarkey told me about an underground way to build an email list, and it worked great. So far, this month, I’ve gained 1,054 new emails to a brand-new email list that started with 0 subscribers. Not bad, right? Well, webinars are the secret, and now I’ll tell you why they work so well. If you want to build an email lists (FAST), webinars are perfect because they have one of the most important elements of a persuasive offer built right in. What makes people take action on an offer? There are a few proven persuasion principles, but most marketers I know agree that nothing works better than a perfectly executed scarcity play. People are scared that they’ll lose out on something that could change their life or business. What makes up an excellent scarcity play? Limits on quantity and time. And this is why webinars are GREAT. Webinars have both a quantity and time limit built-in, and it’s not the webinar organizer’s fault, so they don’t look shady. Let me explain. Webinar software limits the amount of people that can show up for a webinar. Even if you have the maximum plan at GoToWebinar, one of the leading webinar providers, you can only have 1,000 people show up for the webinar. Then, since webinars are a live event, the time limit is implied. If you don’t sign up before the event takes place, you miss it. Enough theory though… Let me share some real numbers. Just yesterday, a webinar signup pageconverted visitors into emails at around 60%, netting me an additional 341 emails in one day. Yes, I had to generate the traffic to earn those emails, but the conversion rate is extremely high, which leads me to the next reason why webinars are PERFECT for building email lists. The online world is crowded, and the competition is stiff. Not only do you need to produce stellar work and create fantastic products, you also need to differentiate yourself from everyone else out there. Well, webinars help you do that because there’s a barrier to entry that other forms of communication (like ebooks, e-courses, and etc) don’t have. Quite simply, you need the technology to run a webinar (like GoToWebinar), the comfort of speaking to hundreds of people live, and the desire to create an engaging presentation that could last anywhere from 30 minutes to 90 minutes. It sounds scary, and that’s why most people avoid it (the barrier to entry is too high). However, those who are willing to take the plunge and try it out can be handsomely rewarded. Like I said, it’s working for me first hand, right now. The good news is, most people who attend webinars know how hard they are to create, and in my experience, they’re often extremely grateful for your hard work and effort. 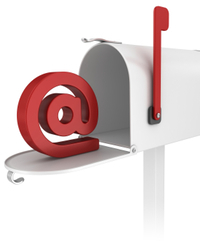 If you want to grow your business substantially, you don’t just need an email list. You need a responsive email list. You need an email list of people who open your emails, click your links, and buy your stuff. Again, webinars are PERFECT for curing this problem and I’ll tell you why. Unfortunately, that’s not always the case. Some people collect ebooks and never read them. So, while you may grab their email addresses, they never learn what you’re all about, and they may ignore your emails. Webinars, on the other hand, get people to show up for a LIVE event, and this event is great for building rapport and establishing credibility with newly gathered email subscribers. Can you take a guess what that does for open rates? On my new email list, I’m seeing open rates that approach 100%. Yes, some people unsubscribe here and there, but the people who stick around, are true fans.